Kings and queens of their respective castles, our field is now down to four regional champions. Becky “Icebox” O’Shea steamrolled Tim Riggins, and in the process captured the Misfits crown. Benny “The Jet” Rodriguez hung a crooked number on Henry Rowengartner, besting the Rookie of the Year at the ballot box 71%-29% to take home the Diamond Darlings’ championship belt. Our other two matchups channeled their inner Florida, nearly requiring recounts to determine the winner. 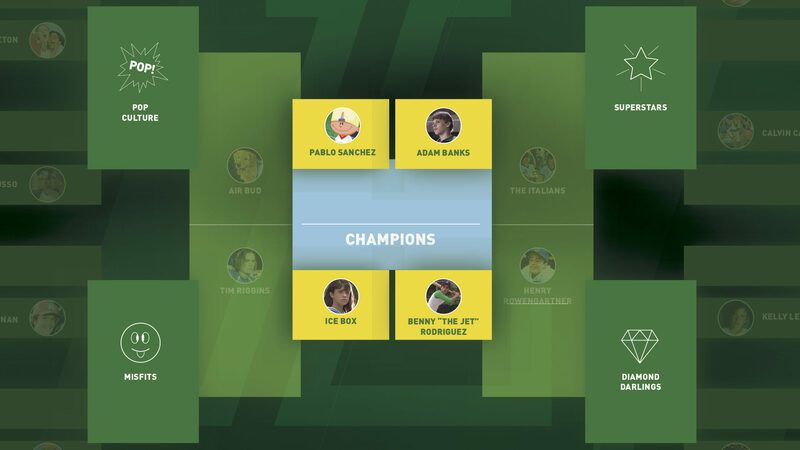 Adam Banks survived a scare from the Italians in the Superstars Region and Air Bud’s run was ended by the ruthless Pablo Sanchez who can now add Pop Culture Icon champion to his list of accomplishments. 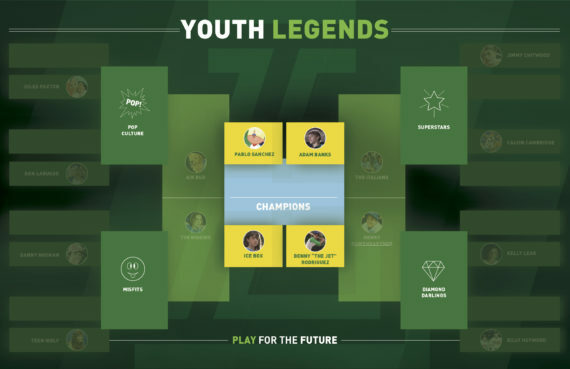 Heavyweights all around in our Final Four, who edges closer to the elusive Youth Legends Tournament championship? We all crave upsets in the early rounds, but when it comes to the Final Four, if we’re really being honest with ourselves, we want to see the best of the best duke it out. Pablo Sanchez is not only the most dominant kid to ever grace a video game, but he may also be the most dominant video game athlete period. Tecmo’s Bo Jackson, Madden 04’s Mike Vick, Mike Tyson’s Punchout’s…Mike Tyson, sure they all have a claim to the throne. But in their respective worlds, it’s hard to argue against Pablo. On the other side of this matchup is the barrier-shattering Becky O’Shea. The human hit stick brought the pain and helped orchestrate one of the greatest second-half comebacks in sports history. They once said that Lawrence Taylor was responsible for the salary explosion at left tackle in the NFL. It’s fitting then that Icebox dons his #56 because she changed the game as well. No longer were rough and tumble sports just for the boys, girls could play and dominant too. What happens when an unstoppable force meets an immovable object? Let’s find out at the polls! 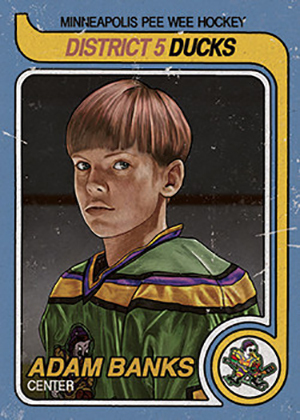 Banks’ quiet, workmanlike approach to this tournament has scored him upset wins over Jimmy Chitwood and The Italians. 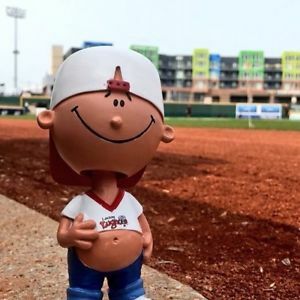 Can he make it a hat-trick against the Ricky Henderson of Sandlot baseball? That may be a tall order for the goal-scoring center, but he’s a grinder who has played through enormous expectations and injuries. What’s another hurdle for the former Mighty Duck? Some prognosticators labeled “The Jet” as the prohibitive favorite entering this tournament and two lopsided victories have done little to throw cold water on the five-tool player. There’s something to be said for the anecdotal nature of his dominance. You can’t google his OPS or WAR. He doesn’t have an electronically timed home-to-first-base sprint on the books. He just hit the ball a country mile, stole every base in the vicinity and always knew where to go with the baseball. Will that be enough to reach the final? That’s completely up to you!